2. Go away if the dose is adjusted. This point is very important. The main reason lithium has a bad name is because in the past people were given doses that were higher than necessary. Today we know that it is possible to get great results at lower doses. 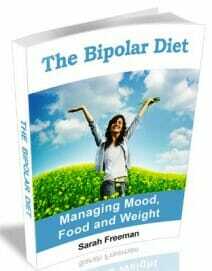 The most important thing is TAKE CARE OF YOU – you need to balance the side effects (if any) against the cost of suffering from bipolar symptoms. My own balancing act is easy now, although it started out a disaster. Today I take a low’ish dose and have NO lithium side effects! For years I resisted lithium because I was scared of something that existed only in my head. Lithium has turned out to be the the only med that has worked for me – Depakote, Lamictal, Geodon and others were actually the ones where I had horrible side effects. Of course everyone is different so please keep in my mind this is just my personal experience – you will have to try and see. Most lithium side effects can be minimized through simple management strategies. Like me, these women take it with no pronounced problems and are thriving. We will discuss how to deal with these in a moment. dry mouth or weird metallic taste. Agreed, these are all pretty yucky, but they are not dangerous. (Please see our page on Lithium Toxicity for a discussion of medically dangerous side effects). The good news is that the side effects on this second list are the ones that almost always decrease or disappear with time – they represent the downside of the body adjusting to treatment and need to be weighed on a cost benefit basis – can you put up with them for a few weeks or is it better to lose your marriage, gamble away your home, wrap your car around a tree at 100 miles an hour, spend the rest of your life hiding under the covers, or whatever your particular brand of bipolar symptoms may be? side effects can arise from thyroid changes. If taking the medication causes swelling or under-activity of the thyroid, then common thyroid drugs can be used to solve the problem. There is no need to discontinue your treatment! Is there a link between lithium and liver cancer? There is something you should know! Lithium can cause kidney damage or thyroid damage – especially if doses are high and regular blood tests to check for safe levels are not performed. BUT there is NO EVIDENCE that lithium causes tumors or other cancer in humans! IN FACT, lithium is being trialled as a treatment for some kinds of cancer characterized by low white blood cell counts. 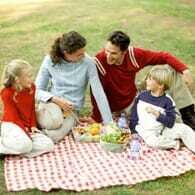 For example, in leukemia the white blood cell count becomes too low and the body becomes unable o fight off infection. This is the cause of many leukemia deaths. Because lithium slightly raises the white cell blood count it is showing promise as a treatment for people suffering such cancers. 1. Confusion between the liver and the kidneys. 2. Bipolar people are particularly high risk for developing problems with alcohol – some studies have indicated 46% of bipolar people abuse alcohol. No doubt these significantly elevated levels of alcohol abuse translate into high rates of bipolar people with liver problems! One of the most irritating and persistent lithium side effects is frequent urination. One answer is usually to drink more rather than to drink less. The lithium will increase your thirst and may dehydrate you – it is essential to maintain your water balance and keep replacing all that is lost. This is a bit like the paradox we all experience when we heed the recognized advice to drink more water – first of all when we start drinking the wise 8-12 glasses a day we make constant trips to the rest room – then our body adjusts. Remember – caffeinated drinks are diuretics that will add to the problem and may also compound other side effects such as hand tremors or weight gain, so drink water – not soda or coffee. Alcohol can also contribute to the problem. Excessive urination is a medical condition called polyuria. A 24 hour volume greater than 3 liters is usually considered clinically significant polyuria. Some of us get concerned that all those rest room visits will raise eyebrows in our workplace – PLEASE – don’t be afraid to talk to your boss. Explain briefly and discretely that you take a medication that causes you to make a few extra rest room visits – BUT this will NOT effect your ability to go a good job! Another concern is the effect on sleep. Enough sleep is essential for bipolar people and disrupted sleep can trigger mania. Managing a few extra bathroom visits during the day is a price worth paying for your mental health, but if frequent urination is disrupting your sleep then find a solution! One strategy that works well is to take an extended release version of the drug, for example as a single once a day dose. Experiment with whether this works best taken in the morning or at bedtime. Important research has shown that taking lithium along with other drugs such as SSRIs is associated with up to 4 times more polyuria. Finally, talk to your doctor. It may be that you can decrease your dose, vanquish the side effects and still obtain enough lithium to stay well. Fine tuning dosage is a slow process of experimenting – but is SO worth it to be healthy. Never forget your goal – to be taking the minimum dose you need to stay well, and thereby experiencing the absolute least amount of lithium side effects. 1. Continue to drink lots of water. 2. Avoid or eliminate caffeine, including soda and coffee. 3. Avoid or eliminate alcohol. 4. Switch to an extended release version of the drug. 5. Experiment with once a day dosing, either morning or bedtime. 6. Avoid taking lithium in combination with other drugs such as SSRIs, NSAIDS, and NaSSAs. 8. Check for kidney malfunction, for example by checking creatinine levels. 9. Discuss potassium or inositol supplementation with your doctor. 12. Talk to your doctor about decreasing your dose to lessen your lithium side effects. 1. CONTROL OF YOUR MANIA! 2. CONTROL OF YOUR DEPRESSION!! 1. Thirst. Lithium is a salt so this natural. Drink plenty of water. You probably need it anyway. 2.Hand tremors – Discuss with your medical practitioner. My personal take on this is it shows the dose may be too high and a slight reduction could be tried. of mood, food & weight3. Weight gain is one of the most unpopular lithium side effects and is a reason why many people give up too soon or never get started. 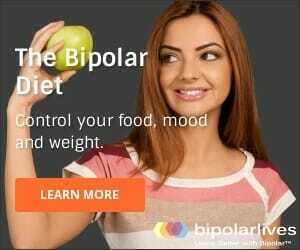 An easy way to make money on the Internet is to offer products that claim to “cure” depression or bipolar disorder with no risk of weight gain! The laws of the universe won’t change because you are on medication – calories consumed versus calories burned will still be the basic determinant of weight gain or weight loss.